A new prenatal yoga class has been added to my schedule! I’ll be teaching on Wednesdays from 6:30-7:30pm at the Waterfront Neighbourhood Centre (formerly known as the Harbourfront Community Centre), at 627 Queens Quay West and Bathurst. This is a lively community hub in a thriving neighborhood, and I’m proud to be adding prenatal yoga to their offerings. This class is offered as both a pre-registered course or as a drop in. Registration will open up online on Mon June 20. Classes start on Wed July 4. But… to give you an appetizer, I’ll be giving a FREE 30 min prenatal demo at WNC’s 25th anniversary celebrations on Sat June 18 from 1:30-2:00pm. Come and check out the beautiful facilities, meet your neighbors, find out about all the amazing programming that is available and have a taste of the prenatal yoga practice with me. I look forward to seeing you! What is it to feel at home? How do we know when we’re home? How do we make home? With ourselves and with others.Come play and move in a field of creating home with other curious women. On Sat May 28 from 11am-5pm, I’ll be offering a full day workshop in collaboration with three other amazing practitioners. A day for women, by women. Through various modalities – including movement, meditation, breathwork, expressive arts and Embodied Gestalt – we’ll explore together just what it means to come home. I am thrilled to be bringing this together with 3 of my sisters from 5Rhythms movement practice – Rhondda Snary, Lauren Nancarrow Clarke, and Irene Gabinet. We all met on the dancefloor, and share a love and commitment to discovering embodiment, as we’ve practiced it together in Gabrielle Roth’s 5Rhythms. On this day, each of us will share methods and ways back home, all informed by our shared experience of working in the body (I’ll be contributing meditation and breathwork to the mix). No previous experience is required – just your curiosity. As there is no prescribed movement, 5Rhythms is open and available to everyone, regardless of your abilities or physical condition. I’ve danced the Rhythms with people of every age, size, shape and colour, with people on chairs, in slings and casts, you name it. If you can breathe, you can do this practice. I have found it a wonderful moving meditation, that is a complement to more structured movement practices like yoga. More on 5Rhythms here. Spring has sprung – and so has my schedule! Whoa! Lots of changes and additions to my teaching schedule recently. Here’s where you can find me these days. There’s a little something for everyone – hatha, vinyasa, restorative, even prenatal! Also check out the Schedule page for other added classes and special events as well as Moon Yoga dates. Moon Yoga takes place every other week at The Yoga Sanctuary College, but day and time varies. Happy news! I’m adding a new weekly class – Prenatal Yoga at The Yoga Sanctuary Danforth every Tuesday from 5:45-7:00pm. Yoga for pregnancy can help open and strengthen the body in preparation for childbirth, and alleviate the aches and pains of pregnancy. We’ll move through poses safe for wherever you are in your pregnancy, with appropriate modifications for the first, second or third trimester. 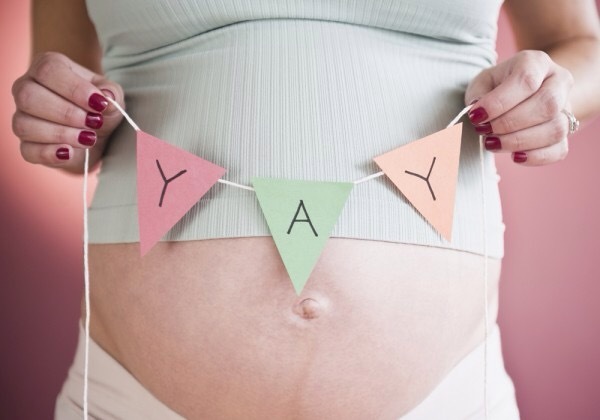 Give your baby the gift of a happy, healthy and relaxed mom. Give yourself the gift of yoga. New Year’s Eve. You probably either love it or hate it. Are out having a fabulous and glamorous evening, or are hibernating on your couch with Netflix. What’s the big deal? Its just another night. Will things really be so radically different tomorrow morning? Well, no. But it can serve as a useful… pause. A moment to slow down, reflect, assess. On where we’ve been, where we’re heading. Maybe using a little bit of ritual to make the point. I figure that tonight is as good a time as any other for it. I will be doing a little fire puja in my backyard with my family, to let go of what’s passed, and clear the way for what’s to come. When I look back on my 2015, it feels like the turning of a big tide. A year of a lot of growing up and taking personal responsibility. Finding that operating from a place of honesty and clarity really does help things turn out for the best, even if its just in my own peace of mind. A 180 degree change in my relationship with money. An incredible friendship, not new, but one that exploded in joyful blossoms this year. Some major – and I mean major – cycles in my life have come to an end. Or have they? Have they really ended? Or just changed. Shifted. Sometimes we like to think that we’re done with a karma. Only to find out later on that’s its not necessary done with us. Just because the page turns on the calendar doesn’t necessarily mean that things are over. It feels very neat and tidy to make a pronouncement that this year is done, finished, completed, finito (said while dusting off our hands). And this one will be different in X,Y and Z ways. Someone online today asked me to pick one word to sum up what I want 2016 to be. As if! I prefer to leave things a little more open ended. Its not that I don’t have plans or goals, but they are made in pretty broad sweeps, the big aspirations, rather than specific resolutions. Letting go of the fruits of my actions, as best as I am able. Its not that I can’t make a plan (though I am much more comfortable improvising by the seat of my pants), but rather that experience has taught me that things usually turn out way better and more interesting than anything I could ever have dreamed up. I mean, I went back this morning and read over my journal from this time a year ago, and I could never in a gazillion years have predicted this moment where I am standing now. Not ever. So I like to think more in terms of the direction that I am aiming my life in, rather than setting my sights on an exact bullseye in the middle of the target. If you’re looking for a little guidance in your end of year reflecting, I can share some thoughts from two wise women who helped me to add some perspective. What will I create in 2016? Who/What will I reconnect with? What will I remember going into 2016? What will I let go of? What do I hope to enjoy? This morning I came across a wonderful New Year’s Eve podcast from Venerable Thubten Chodron. Her take on New Year’s? “Its a strange holiday, isn’t it? New Year’s Eve? Its like celebrating that we’re one year closer to death.” She is perhaps best known as the author of Buddhism for Beginners (why oh why did I give my copy away? ), and has been seminal in cutting the path for ordained women in the west. I hear such sweetness in her voice, like what I’d like my grandmother to sound like, if I had one. Yet she is completely uncompromising in her Dharma, and you can hear how she is completely immersed, completely fluent, in the Lamrim teachings on the Buddhist steps of the path. In the first twenty minutes of the podcast (the body of it is on the lojong mind training teachings), she use the occasion of New Year’s to discuss the relationship between aspiration, motivation and creating the causes to actualize them. We need all of them. “Motivation is one of the causes that we need to constantly cultivate to be able to make the aspiration stick”, she says. Having a great big aspiration, even when its one that is far beyond our current capabilities, can give us the motivation to carry out the smaller tasks. When we get clear for ourselves on our real motivation, it gives us the courage to carry out the causes that fulfill our aspiration. “New Year’s makes me think, its just so funny, because its just a merely labelled day, isn’t it? You get up in the morning, its just exactly like every other day. Its not like its different in any way. Time is time, a day is a day. But our mind imputes something on it and makes everything feel quite different. And when you think about it, each day we wake up is a new year, isn’t it? Each day we wake up is the opportunity to make a strong resolution or a strong aspiration, to redirect our thoughts and our actions in the way we want to do it. So we can take that resolution and do that each day. We don’t have to wait until a day called New Year’s to do it. And then you think, well, why even wait until the morning to do it? If there’s something we want to change, each moment is a new year, isn’t it? Each succeeding moment in our life is a new year, and is an opportunity to direct our energy in the way we want it go. We don’t have to wait for a societal new year, or even tomorrow morning. Just right in the moment, and we change. I think when they talk about Zen mind, beginners mind, I think that’s what they’re talking about. Greeting each moment in a very fresh way as an opportunity to really be who we really want to be. Rather than each moment as “here’s another moment I’m going to be depressed” or “here’s another moment I’m going to fail”, or… you know, that kind of attitude we often get stuck in. Listen to the full podcast from Venerable Thubten Chodron here. I look forward to taking advantage of those opportunities together in 2016. Keep your eyes peeled for more meditation workshops and courses in the early year. I’m happy to have added another yoga class to my regular schedule. Join me at The Yoga Sanctuary Danforth on Wednesday from 8:50-10:05pm for a delicious Restorative Yoga class to wind down your mid-week and roll you home to bed. What I’m most excited about for 2016? I’ll be announcing some big changes in the coming month – stay tuned! Til then…. wishing all beings deep peace and joy in the new year and beyond….